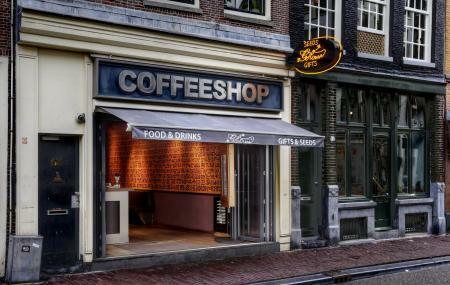 A top-notch coffee shop which serves great coffee, big burgers, delicious chips makes for a nice start to the evening. Make sure you sample their vanilla milkshake because it is tasty beyond your imagination. The hip hop music in the backdrop of a decent decor sets the mood right. Located by the canal, it serves as a perfect location for cappuccino and brownies. The staff will help you in navigating between the choices. For a relaxed evening in this beautiful city, this is your destination. Want to plan a DIY trip? Use Amsterdam trip planner for the same. Book perfect hotels in Amsterdam like Lloyd Hotel And Cultural Embassy, Q-factory Hotel and Amsterdam Tropen Hotel. Explore the best Amsterdam vacation packages that will take to you important landmarks of the city! For getting in, check out how to reach Amsterdam. This was my absolutely favourite coffee shop! The hot chocolate is absolutely banging and the smoke is top shelf material. The staff were all extremely polite and welcoming with a truly chilled vibe. I cannot wait to take the Mrs for a smoke and hot chocolate next time I visit. Our first coffee shop stop. The friendly staff and relaxed atmosphere gave us a great first impression of Amsterdam. The Koi pond in the floor was a unique addition to this lovely coffee shop. Great vibe.. unfortunately skint by this time but cheap drinks and food looked goood! !